I went shopping in Blackpool this weekend and had a bit of a mooch in New Look. The Blackpool store isn't one of the biggest I have seen but I was really impressed by their Inspire range. Although store displays say that they do up to a size 26 I saw plenty of items up to a size 32, so it seems that they are rolling out bigger sizes in their stores as well as online. It made me realise I hadn't browsed the New Look website for a little bit so I had a look this morning, what better way to brighten up a dull Monday morning! I love some of the pieces that their website offers at the moment, here is my ABC look at some of their pink items! 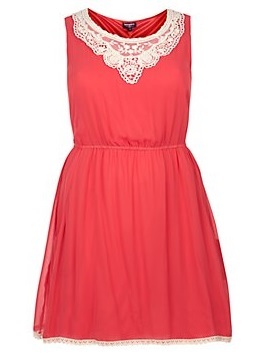 Currently in the sale this bargain of a dress is just £6 - you probably won't get much more of a bargain that that! Even at full cost it was just £12.99, so it really is good value for money. 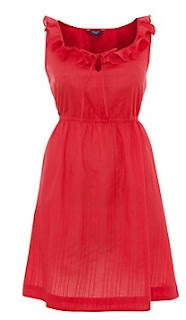 I love the fit of this dress and even though it relatively plain piece the bright colour and the ruffle neck line more than makes up for it. 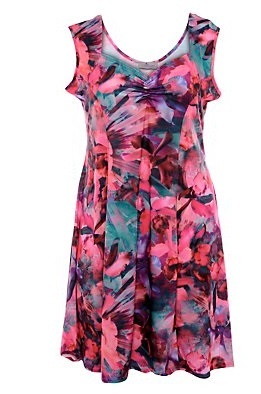 If you like to wear bright colours then this is a great staple piece to add to your wardrobe! You can buy this one here! The sleeveless look is one that I don't rock often enough but a dress like this is could more than change my mind. I love the coral colour of the dress and the lace neckline makes it a really pretty dress. I have a couple of weddings come up in the next few weeks and at just £19.99 I think this could be a perfect, bargain outfit to wear! You can buy this dress here. It is hard to find a cash to splash item in the Inspire range because they offer such value for money. However, this sweetheart dress jumped out at me because I love the colour and pattern. It's just £34.00 and if the pink shade isn't for you, there is a black shaded one that looks just as lovely. You can buy this dress here. 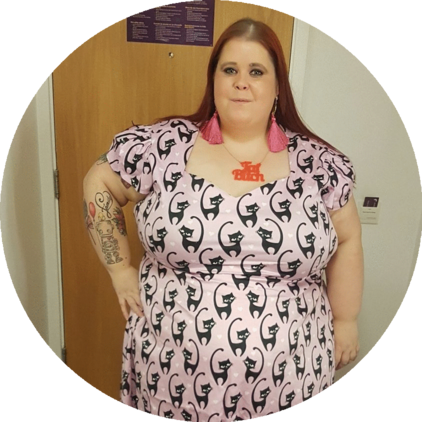 If pink isn’t for you, New Look Inspire have loads of options and pieces up to a size 32 so they are well worth looking at! Is your wardrobe dominated by one main colour or do you try to vary things?